Karl Lagerfeld has long been mesmerized by ancient world. In 2011 the designer covered Chanel's Rue Cambon atelier with embroidered gold silk tapestries, luxurious rugs, plush cushions, and glass mosaic tables for his Byzantine-themed Métier d'Arts show. Last year for the house's resort 2018 show, the designer concocted an Ionian fantasy — complete with ruins, winding olive trees, and ethereal empire-waist ensembles. 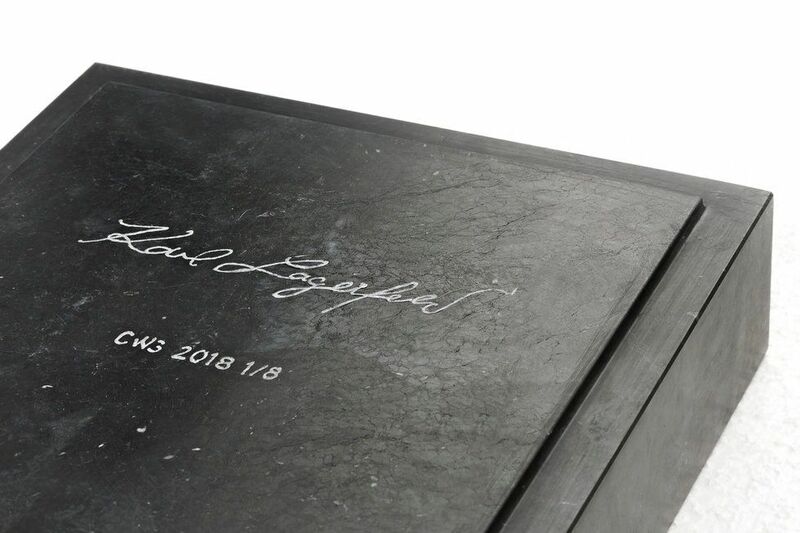 This month, Lagerfeld looks again to antiquity in his debut sculpture exhibition at Carpenters Workshop Gallery in Paris. Titled Architectures, the range of gueridon and pier tables, lamps, fountains, and mirrors designed by the Kaiser himself are informed by ancient Greco-Roman design. 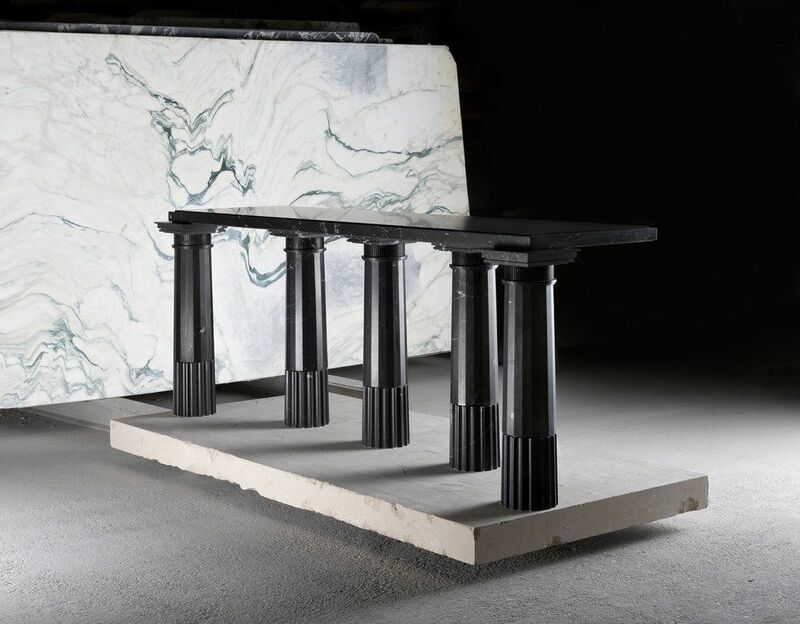 In keeping with that epoch's aesthetic, pieces have been excavated from a slab of rare, white marble with dark gray veins called Arabescato Fantastico (sourced from a quarry that's been untouched for over thirty years) and blocks of Nero Marquina marble, a black version of the stone with white streaks running throughout. The limited range of pieces (just eight per marble color) forgoes automated carving in favor of hand cutting, sculpting, and polishing by the finest Italian artisans. Though devised by Lagerfeld, Architectures has been developed by French-Lebanese architect and interior designer Aline Asmar d'Amman. The founder of Culture in Architecture, a design firm split between Beirut and Paris, recently partnered with Lagerfeld on the renovation of Paris's Hôtel de Crillon. "Working with Karl Lagerfeld is an immense privilege, not only because he's the design maverick with multifaceted talent in every creative field but also because his knowledge is cross disciplinary," d'Amman says. For d'Amman, witnessing his expansive bank of references open up in the design process is akin to speedy time travel. "You learn about every period from antiquity, to the 18th century, to modernism or contemporary design," she adds. "Of course, with lots of humor and amusing insider stories."